As Speaker of the APA Assembly I met with U.S. 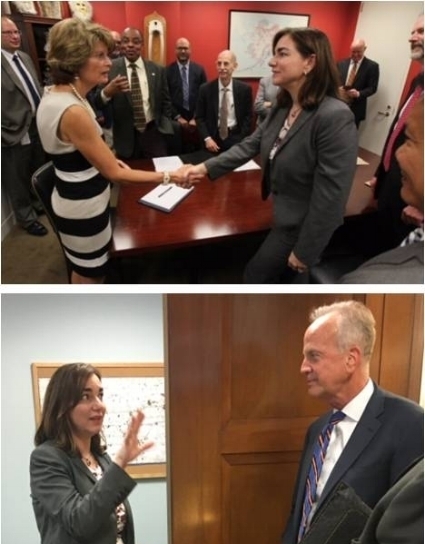 Senators Lisa Murkowski (R-Alaska) and Jerry Moran (R-Kansas) urging them to strive for bipartisan solutions to improve access to treatment for mental health and substance use disorder services as essential health benefits, and strengthen the health insurance market. I presented the American Psychiatric Excellence (APEX) Award to Puerto Rico’s Resident Commissioner Jenniffer Gonzalez in recognition for her efforts to help secure disaster aid for Puerto Rico and several states affected by Hurricane Maria. Natural disasters such as this one have tremendous psychological impacts on the community, both immediately and for years to come. 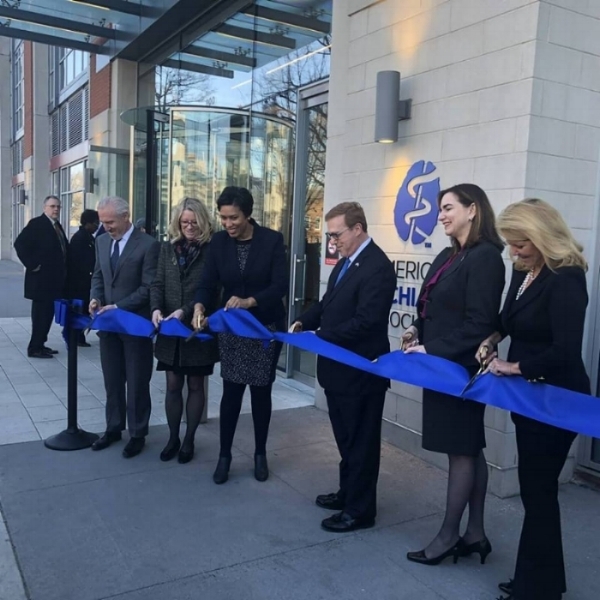 I was honored to participate, along with Washington DC Mayor Muriel Bowser, APA CEO Saul Levin, and Past President Anita Everett at the ribbon cutting ceremony celebrating the opening of our new APA Headquarters. This marks APA’s return to Washington DC, with renewed energy to pursue our patient advocacy and public policy mission. I encourage everyone to visit our beautiful building and enjoy the vast resources available to all members.